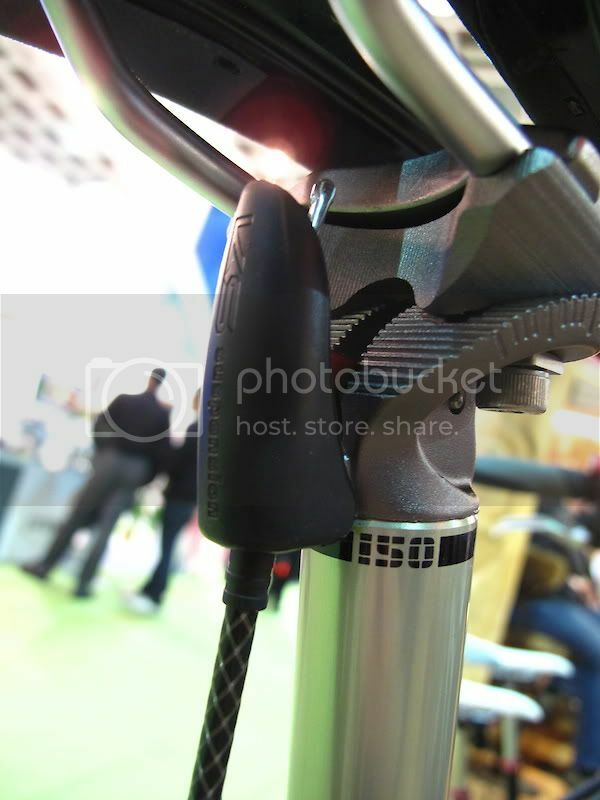 Adjustable seat post has become an indispensable component for all mountain biking. The convenience of adjusting the saddle height on the fly allows bikers to tackle more challenging trails with confidence. 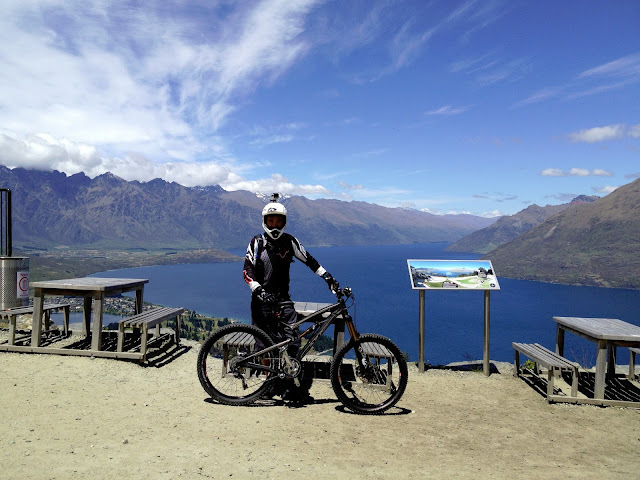 The major considerations for selecting an adjustable seat post are ease of maintenance, adjustable height and remote capability. 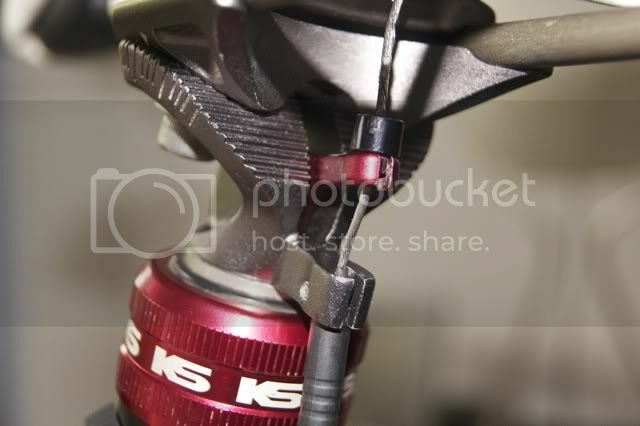 I owned the highly popular KS i950R adjustable seat post, and discovered one major design flaw. The KS i950R has an opening at the rear, directly facing the perfect location for collecting mud and water while riding on trails. The level can be easily jammed by sands and mud), especially in muddy and wet conditions. 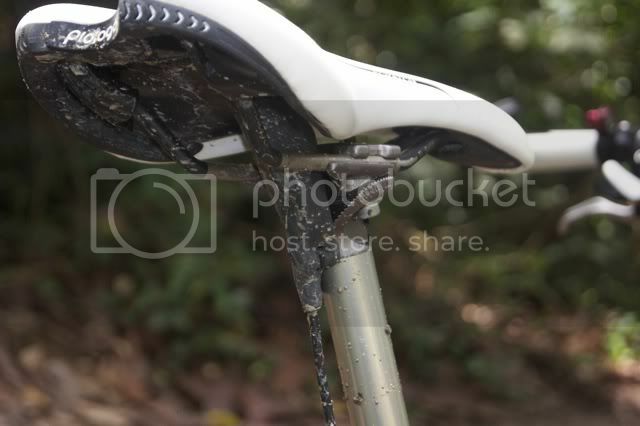 I remember once pedal like mad uphill at the lowest saddle position, as the level actuator of the adjustable seat post was jammed by sands and muds. I nearly wanted to switch back to Thomson seat post for good. An idea struck me after seeking help in an online forum. I DIY a mini mud guard using materials from a used tire tube. Simply cut a small portion of the used tube and wrapped it over the hole with a Teflon strap (See Photo). As the tube is made of rubber, the stretchable characteristic enable the level actuator to function properly, and at the same time prevent dirt, mud and water from entering the hole. It works perfectly fine! The new setup was tested in trail rides under wet and muddy conditions, and passed with flying colors. (Left Photo) This is the original mud guard produced by Kind Shock. I seriously doubt it will prevent the mud and sands from getting into the level. Well, they should have known better before mass launched the KS i950R. I wonder why the flaw did not shown up during product test.